Queeen Size (available in all sizes). 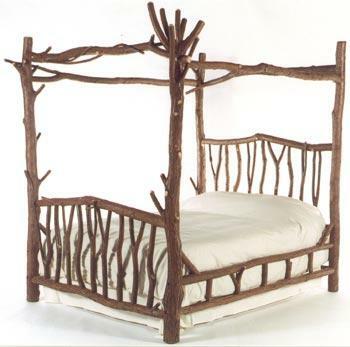 I would like to inquire as to the price of this bed. Do you have any currently made? If not, how long does it take to make one? Wendy, We make all our beds as they are ordered. It would take two months from the time you ordered a backwoods canopy bed until it was finished and ready to be picked up, delivered, or shipped. The prices are as follows: Twin–$1925; Full–$2200; Queen–$2750; King–$3250.